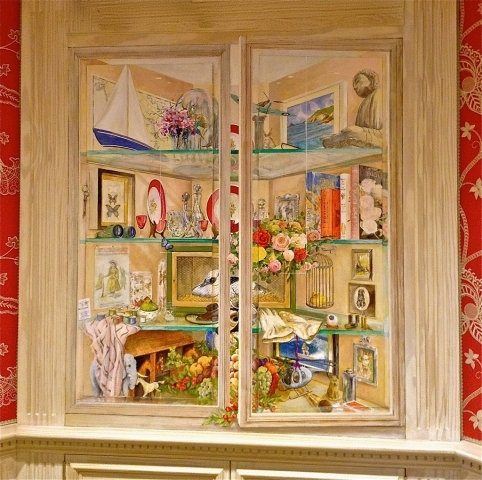 Kitchen view trompe l’oeil window on the staircase to the Minstrels Gallery, RAC Club, Pall Mall, London. 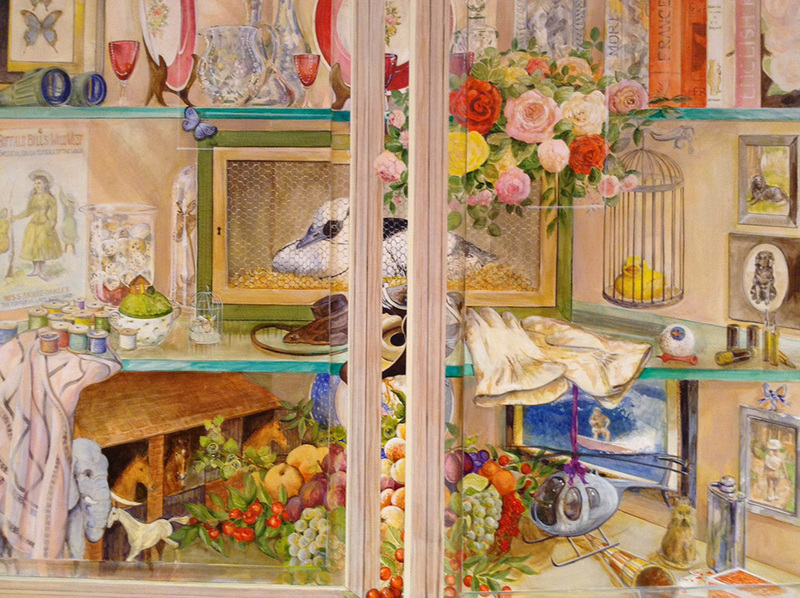 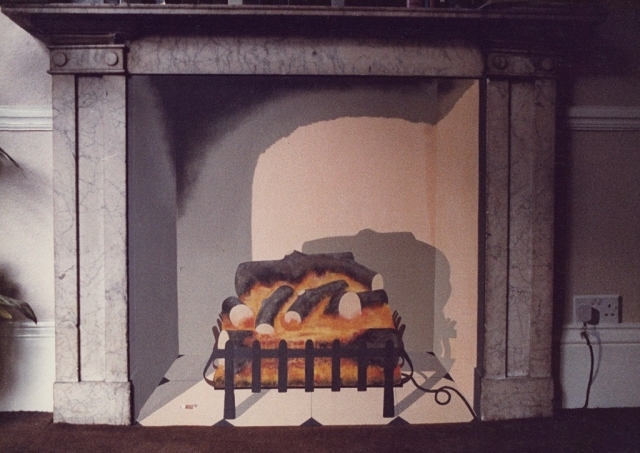 Trompe l’oeil is the French term meaning ‘to trick the eye’. 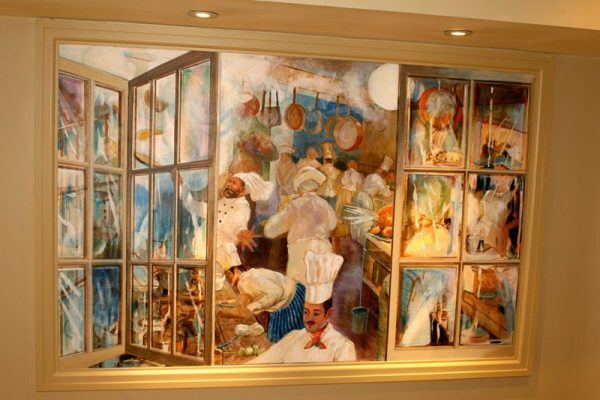 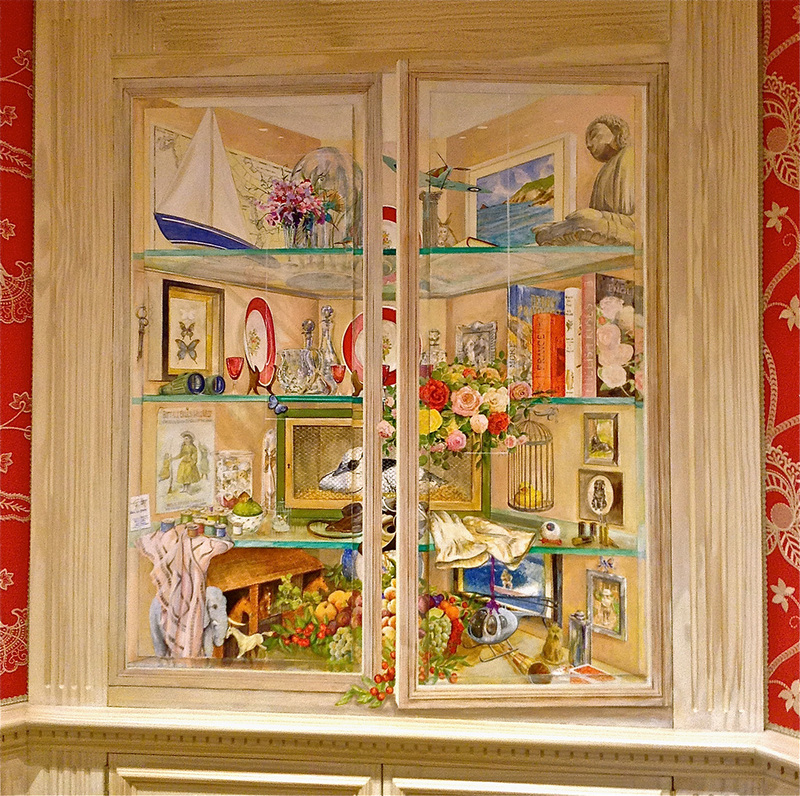 Trompe L’oeil murals trick the eye into believing something painted is actually there, giving a three dimensional appearance to wall art. 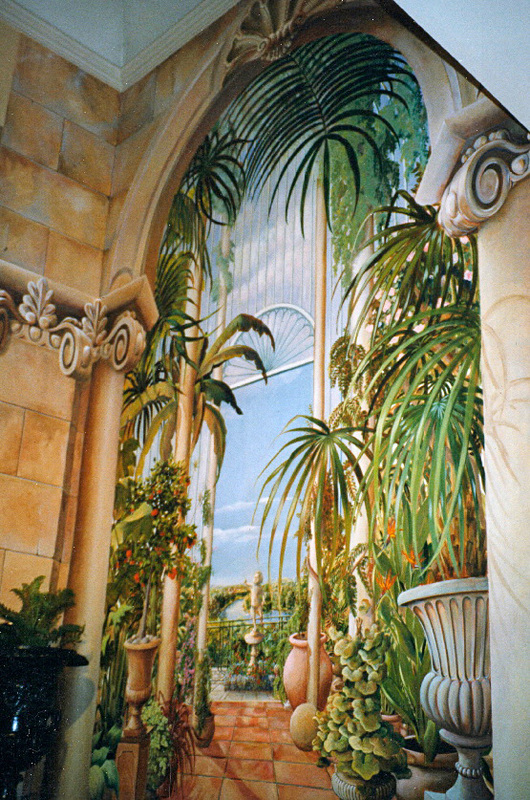 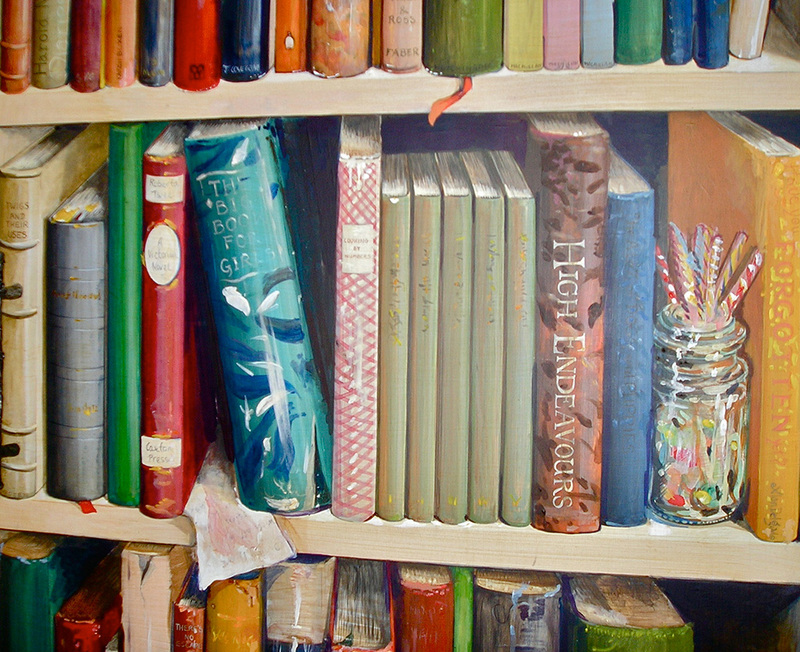 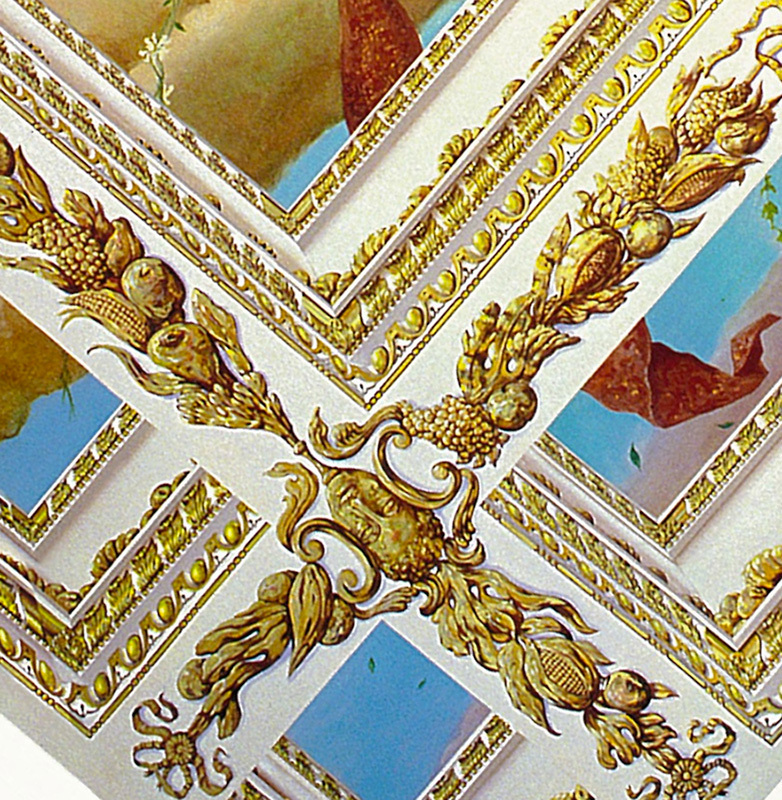 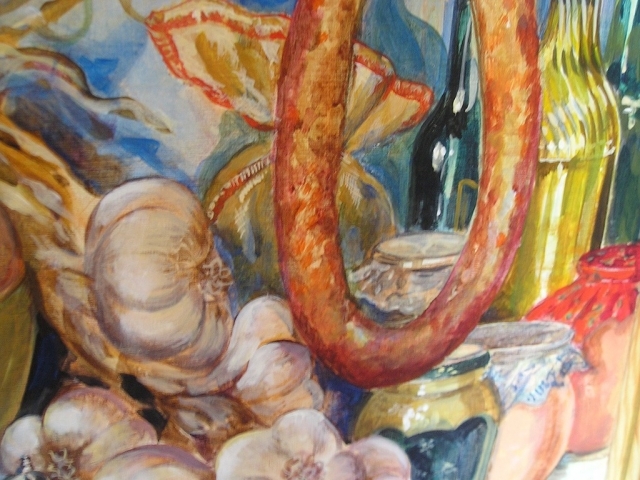 Kate Lovegrove is one of the most experienced UK mural painters in the practice of trompe l’oeil murals. 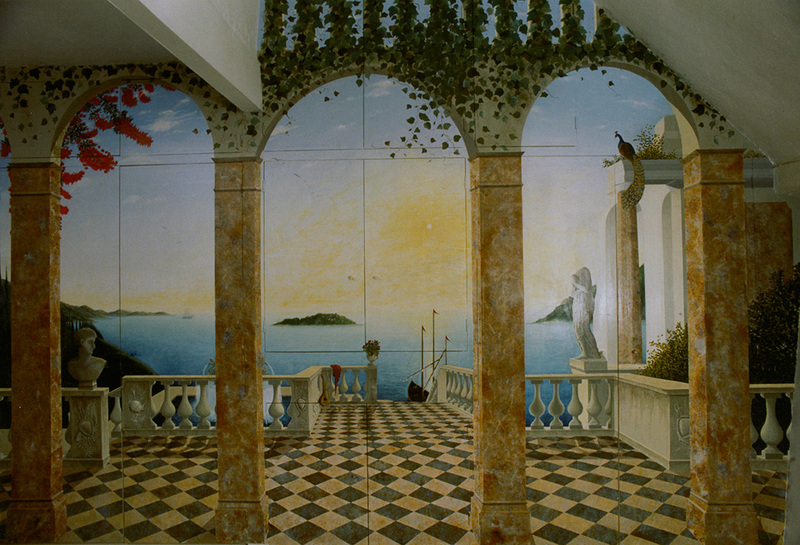 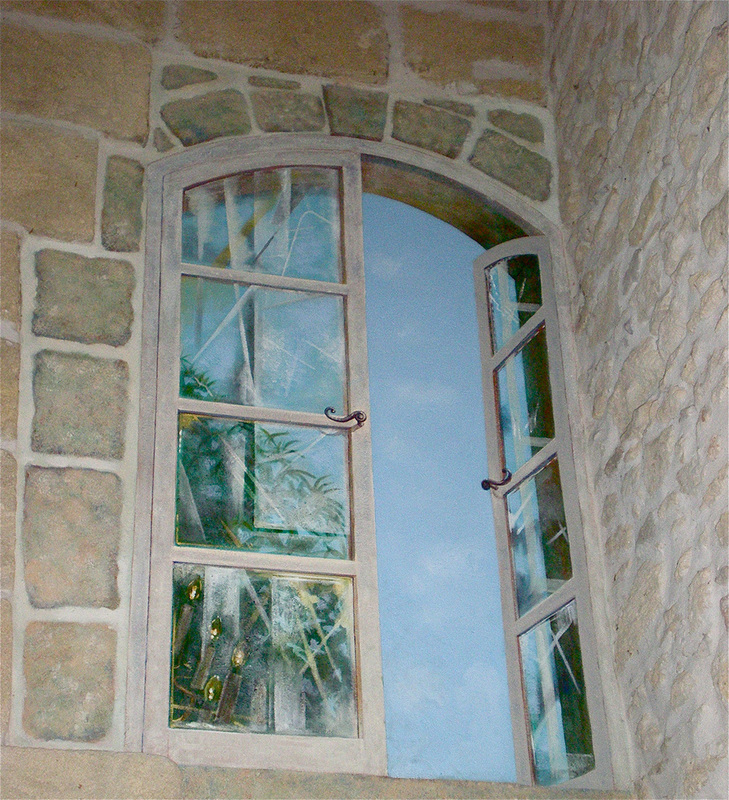 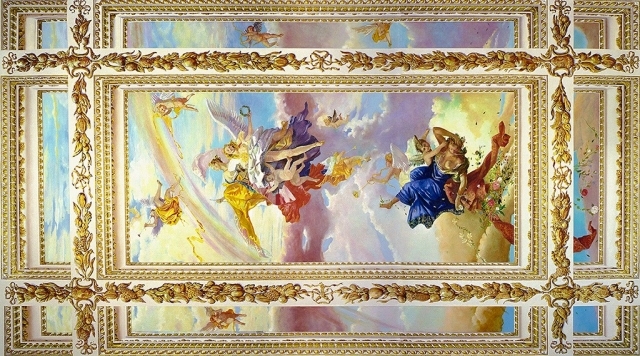 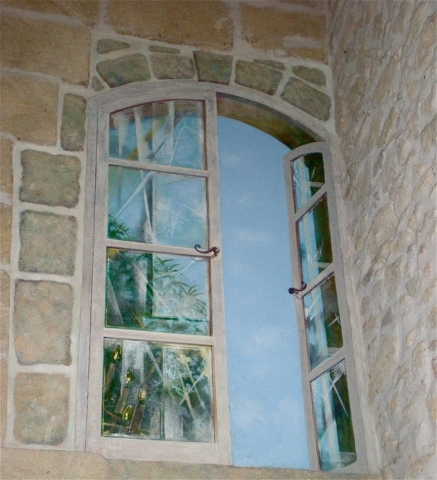 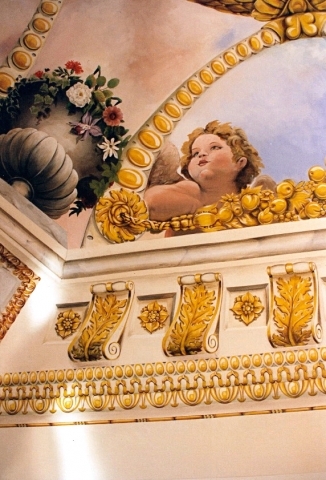 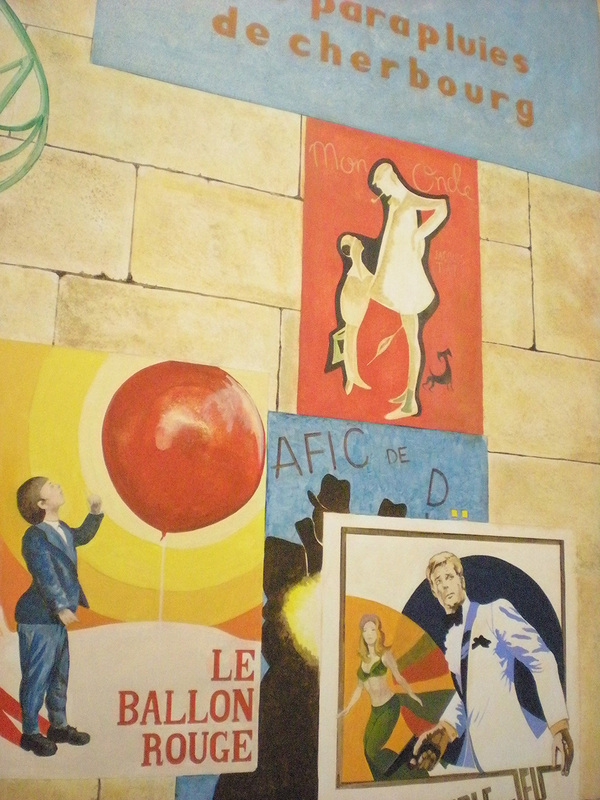 As an international and London mural artist, Kate has been given the opportunity to paint trompe l’oeil murals in order to open up confined spaces in flats, to confine open spaces – either out of doors or in larger interior spaces and to give an alternative decorative painted finish to difficult and undefined spaces using murals to redefine them. 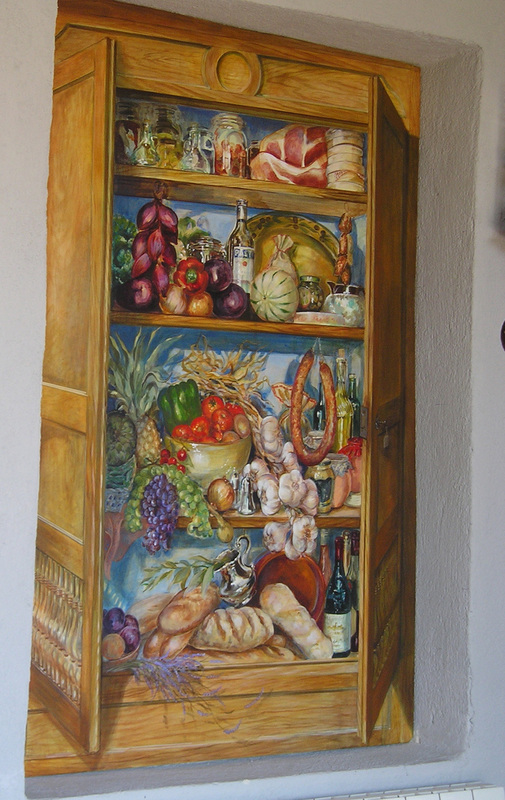 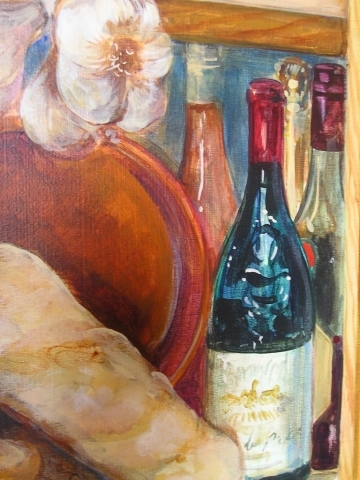 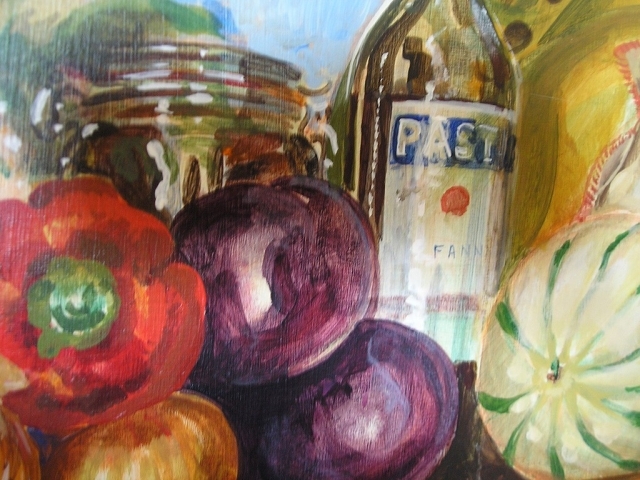 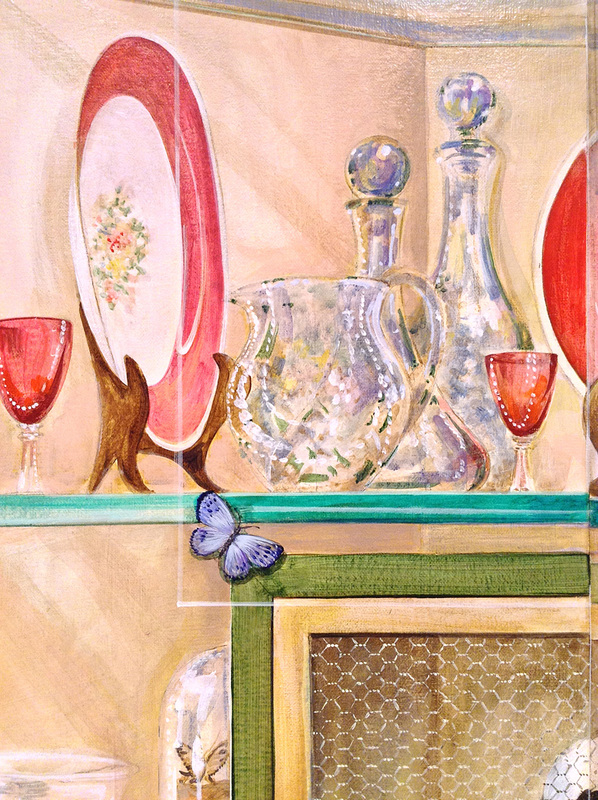 The subjects for a trompe l’oeil can be almost anything. 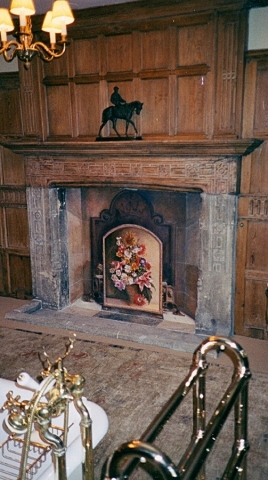 A blocked in fireplace can have a mural painted of a dangerous looking electric fire with an equally dangerous plug painted on the wall beside it. 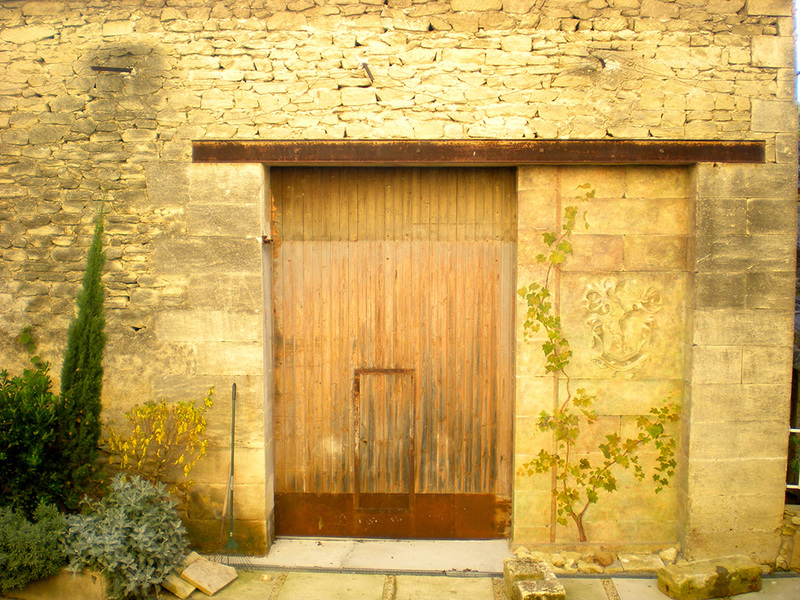 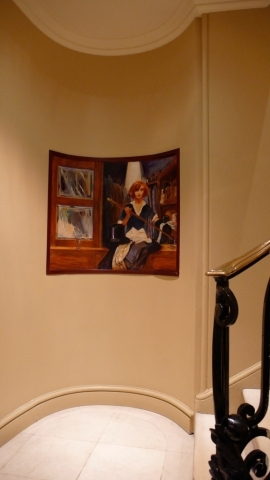 Dull looking basement walls can be painted to resemble a French village square and the floor to have the accompanying pavements with trompe l’oeil paving stones, weeds, cigarette butts and drain covers. 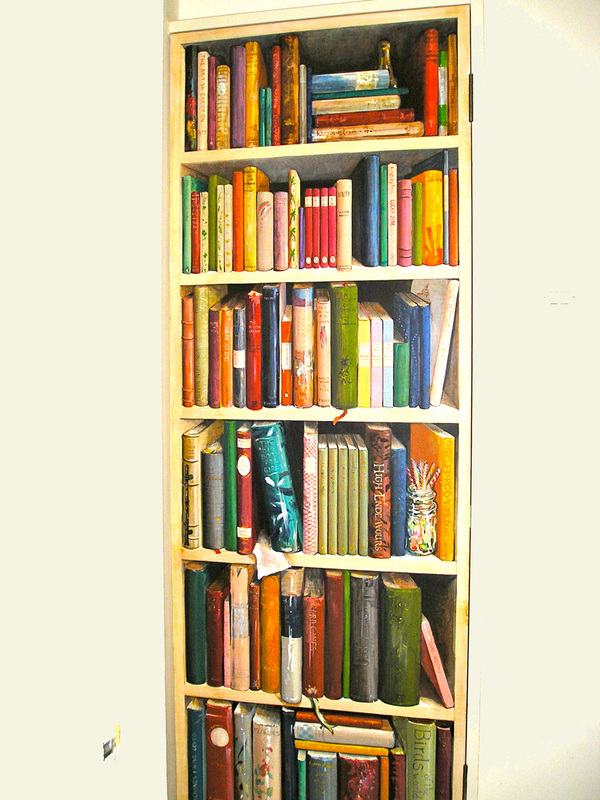 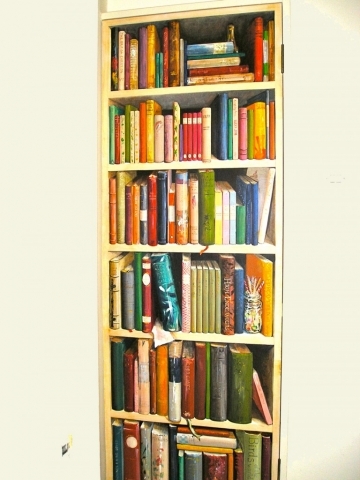 If there is a door to be hidden it can become a bookcase, if there is a wall that needs opening up with a mural artists technique it can become a window or a staircase. 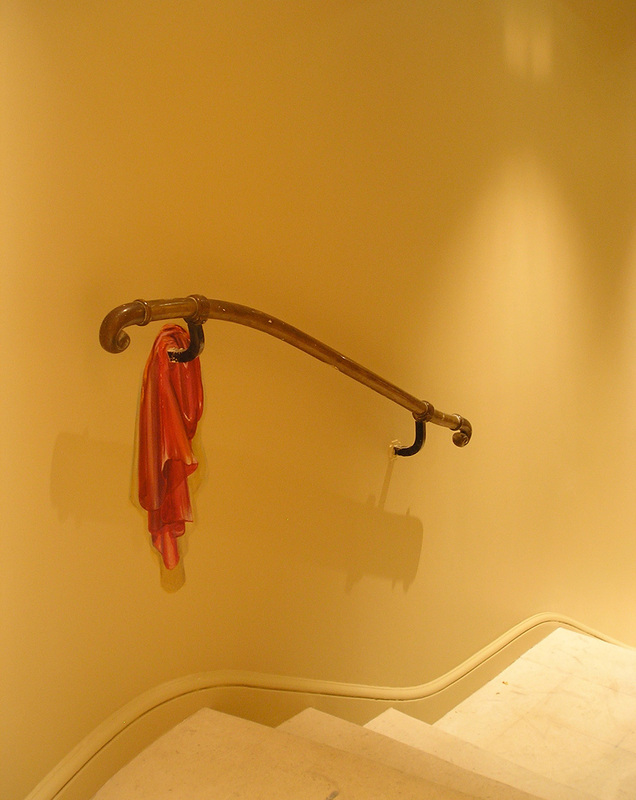 A trompe l’oeil cloth can be draped over a banister. 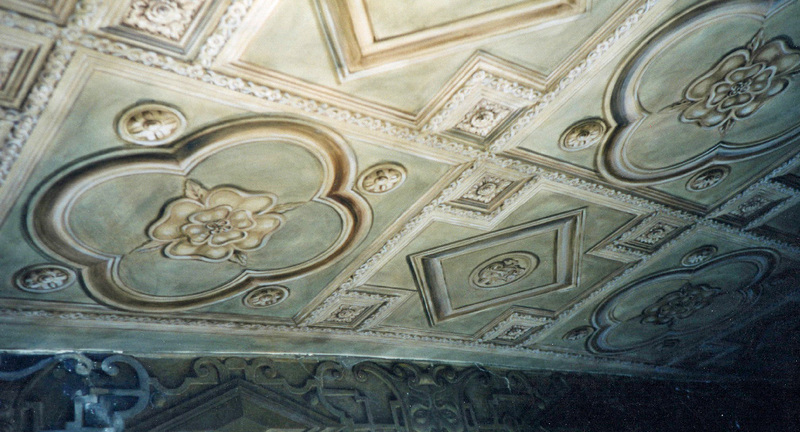 A low ceiling can be raised to be as high as you like with an architectural trompe l’oeil or a trompe l’oeil sky. The possibilities are endless and a London mural painter like Kate can realise your mural ideas and/or give you great ideas for a trompe l’oeil mural for almost any space you can think of and execute a mural in almost any country in the world.